We review and examine the cost and benefits of heaters and heat pumps for above-ground pools. This article compares efficiency and cost as we look at heat-pumps versus gas heaters made exclusively for above ground swimming pools. The best heater for above-ground pools maybe a gas heater, or a heat pump, it depends how you are going to use it and how often. 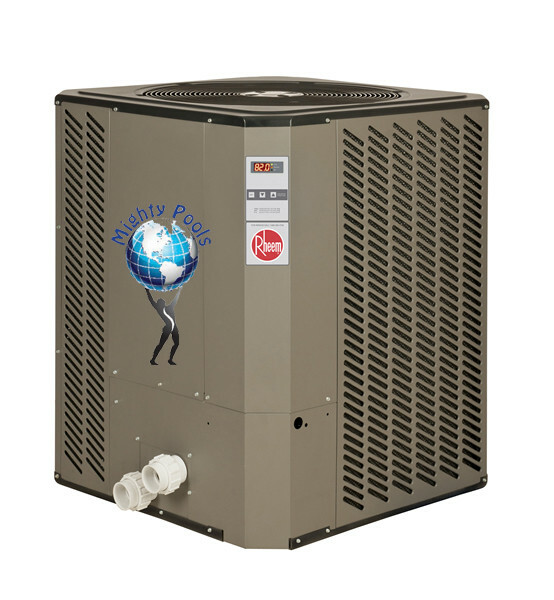 This article compares heat pumps and gas heaters for above-ground pools. We will suggest units based on your pool size and average temperatures here in Massachusetts. First, we will discuss the cost of purchasing and operating a heat pump, vs a gas heater. There is a lot of data that goes into sizing a pool heater. You have to take into account geography, average temp, pool size, etc… I have done all that work for you if you live here in Massachusetts. It cost between $170.00 to $400.00 more per month to operate a gas heater than it does a heat pump. Heat pump lifespans are twice that of standard gas heaters (solely based on my 25 years in the field). It cost more for a new installation of a gas heater, in part because a plumber is required. With propane gas, you will have a tank, platform, and rental costs, and with natural gas, you may have to add trenching costs to run the fuel pipe. A heat pump will require a 220v service. 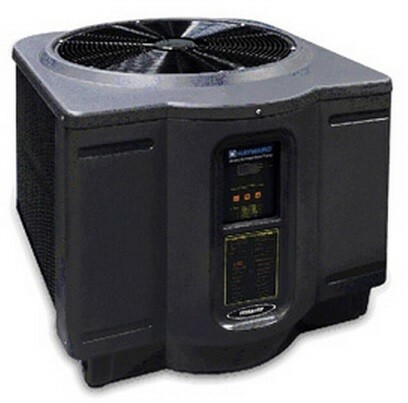 don’t confuse a heat pump with an electric heater. Electric heaters would cost a fortune to operate here in Massachusetts. But a heat pump uses the electricity to run a compressor and a fan like your homes central air condenser. Though heat pumps run on electricity, how they use it, and consume it, are totally different than electric heaters. Electric pool heaters are not covered in this review, they are simply ridiculous, so never buy one (here in Massachusetts)…end of story. If you want to operate your pool at 80 degrees from the beginning of May, to the and of September, it will cost you $4k to $5k a year with a gas heater. Operating a heat pump for the same period would cost $1200.00 to $1400.00. Ranges widened for yearly temperature variances. A heater will heat your swimming pool water quickly, so If you are only going to use the appliance to heat the pool every other weekend or so, a heater will cost less to operate. Let’s be clear, it cost roughly a thousand dollars more upfront to purchase a heat pump than a regular gas heater. But, even if you have natural gas, a plumber will charge $500.00 to run the gas pipe, and then hook it up, minimum. 12′ Round, 15′ Round, 18′ Round, 21′ Round, 12′ x 24′ Oval, 15′ x 24′ Oval, 15′ x 25′ Oval, 15′ x 30′ Oval, 12′ x 24′ Rectangle, 16′ x 24′ Rectangle. In May and September, the average coldest temperature is 55 degrees. You will want a solar cover to help hold in the heat at night, but also to cut back on evaporation. With a 25 degree variance between your pool temp and the night air, you could lose quite a bit of water to evaporation. In order to do solar, you have to go big, or not bother. I spoke with solar experts and I can tell you, do not waste any money on things like this on the right. 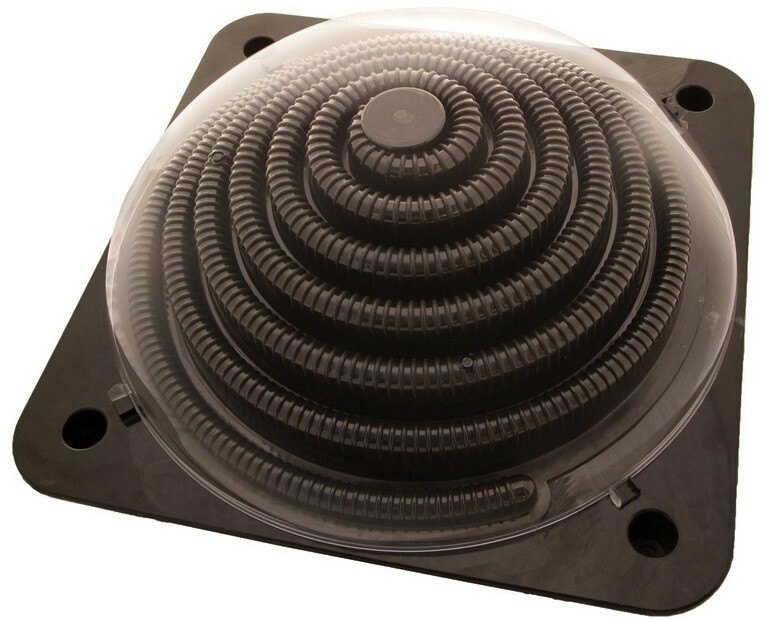 This solar coil is made by a company called Game, and you would need like 8 of them to effect a temperature change of even 5 degrees. It will not extend your swim season one day.